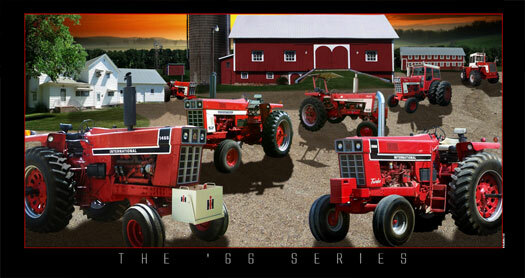 All IH 66 series tractors starting with the 666 through the 4 wheel drive series all placed in a farm setting. Now you can collect all three pictures while they last! (06-26, 56 and the 66 series) Look for the 86 Series next year!